It is an absolute pleasure to welcome Corrina Connor to the salon today, with a look at les caractères de la dans; join her next week for part two! In the seventeenth and eighteenth centuries, ballet was an essential element in French opera, and when Louis XIV (himself a skilled dancer) founded the Académie Royale de Danse in 1661, it paved the way for dance to become professionalized. We now tend to associate great dancing with the French who codified ballet steps and choreography, but it fact the Italians were also highly skilled and expressive dancers: the man we know as Jean Baptiste Lully – the great composer of Louis XIV’s court – was born in Florence as Giovanni Battista Lulli, and when he arrived in France (and his arrival in France is another fascinating story), it was his dancing that caught the King’s attention. 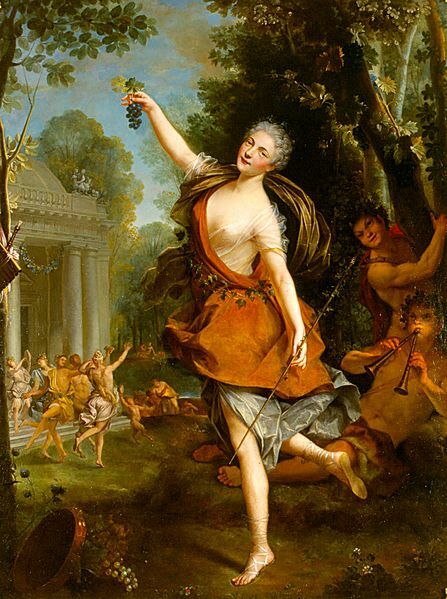 Initially the ballet troupe at the Opéra in Paris was all-male, and men danced female roles: Le triomphe de l’Amour by Lully was one of the first ballets de cour in which women performed when it opened at the Opéra in 1681, and over the next two decades, men still danced female roles. However, by 1704 it seems that the troupe consisted of eleven men and ten women. Surviving choreography shows that it was men who performed the most virtuosic dances, but demands were also made upon the women in the troupe. While today we place greatest value upon the technical virtuosity and physical expressivity of ballet dancers, in the early eighteenth century it was the overall construction of each dance – the complexity of patterns formed by the dancers on the stage – which was also very important to choreographers and connoisseurs. The ballet was a crucial element in the tragédie en musique – the operatic form in which Lully excelled – with dancers appearing for set instrumental numbers (the minuet, the passepied, the gavotte, etc), or occasionally between sections of a chorus or air. The inclusion of ballet here was not just to divert the audience with some athletic distraction: it added to the drama by reinforcing important aspects of the story, or by increasing the ‘affect’ of joyous or sorrowful moments. However, ballet was not an independent art form, and dancers did not have quite the same ‘star’ recognition as some of the singers, despite the fact that they were extremely talented artists who sometimes took the stage solo. Here you can see the complexity of these dances in a reconstruction of a Passacaille from Lully’s Armide, danced by Catherine Turocy. However, a group of three exquisite women dancers wanted ballet to evolve as an independent art form, in which dance told a story, rather than being a part of the tragédie en musique. One of the first composers to write dance music for the new form of ballet d’action was Jean Férey Rebel (1666-1747). This Parisian musician was born into a family of professional musicians, and was a pupil of Lully. Rebel gained employment at the Opéra sometime before 1700, and later joined the 24 Violons du Roi in 1705, before attaining the status of chamber composer to the king and musician of the Chapelle Royale. 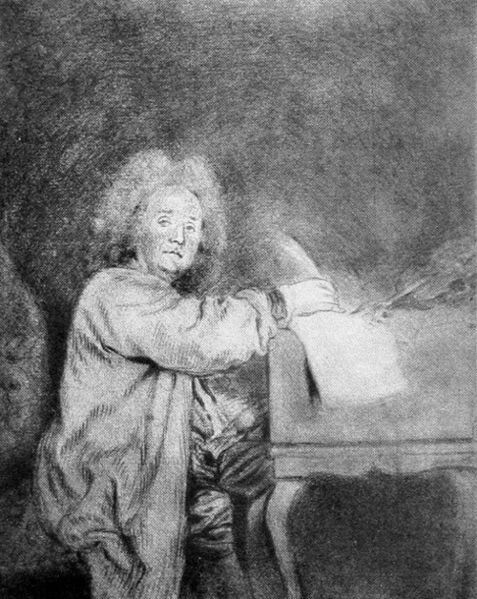 His close involvement with instrumental music made Rebel primarily a composer of secular music: he wrote many imaginative and exquisite sonatas, including a divine tribute to his teacher and mentor in Le tombeau de Monsieur de Lully. However, what is most remarkable about Rebel was his innovation of writing ballet music that was independent of larger musical works. The ballet d’action allowed Rebel to write suites of music simply as a showcase for skilled dancers; the sequence of dance types, keys, and musical character allowed the music to have its own narrative impetus. Rebel went on to write a series of ballets, including Caprice (1711), Les caractères de la danse (1715), Le Terpsichore (1720), Les plaisirs champêtre (1724), Fantaisie (1729), and Les élémens (1737). Of these pieces it is Les caractères de la danse which interests us most. The work is through-composed, so there are no pauses between the sequence of sections, which runs: Prelude: Doux – Courante – Menuet – Chaconne – Sarabande – Gigue – Rigaudon – Passepied – Gavotte – Sonate – Loure – Musette – Sonate. Rebel’s music is extraordinary: sometimes tender and sweet, sometimes intensely sensual, and sometimes histrionically dramatic (especially the final ‘Sonate’), Rebel really gave his dancers something to get their teeth into. The narrative is not a particularly dramatic one, but presents to the audience a series of lovers in varying moods; the execution of each dance should inspire the audience to reflect on the many facets of love, each of which is an essence in the dances. Sallé travelled to London in the 1730s, where she danced in several of Handel’s operas, as well as performing Les caractères de la danse. It is enticing to imagine how – bearing in mind Voltaire’s verse - these remarkable women might have interpreted Rebel’s musical gestures, and responded to the radiant energy and variety of music Rebel provided. In the next instalment, I shall look more closely at the activities of Sallé in London, and the music Handel wrote for her. Corrina is currently a PhD student at Oxford Brookes University, where she is researching the ways in which Johann Strauss's operetta Die Fledermaus articulates aspects of masculinity. She writes programme notes for a number of music venues, including the Spitalfields Festival and she has contributed programme notes on a range of eighteenth-century repertoire to the London Handel Festival since 2011. As a musician, Corrina regularly plays the music that Handel wrote in London, and she has presented research papers at the Music in Eighteenth-Century Britain Conference and the annual British Society for Eighteenth-Century Studies Conference. Written content of this post copyright © Corrina Connor, 2015. Bravo--or rather Brava. Delightful account of the development of the ballet, elegantly written. the first link led me to les dances du roi, entrée d'Apollon by Lully, which one can well imagine Louis himself dancing. The skill led one to forget that the Sun King's sartorial taste make Bermuda shorts and Hawaiian shirts look tasteful. I think actually this is more accessible to the modern taste than modern ballet; reminds me of Bollywood.